Basque independence activist Arnaldo Otegi has been banned from running as a candidate in an upcoming regional election in the Spanish-controlled Basque Country. 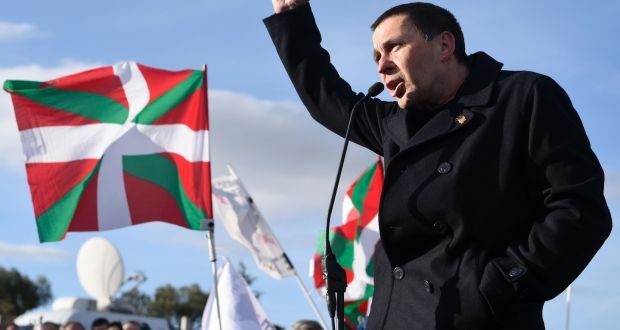 An electoral authority ruled on August 24 that Otegi, who was released from jail in March, could not run as a candidate for left-wing Basque party EH Bildu due to a conviction of alleged links to terrorism. An international campaign for the release of jailed Basque pro-independence leader Arnaldo Otegi was launched at a conference in the European Parliament in Brussels on March 24.